On the eve of a new Fortnite PlayStation 4 bundle announced, a new leak has emerged for Team Xbox One. According to a recent leak, the Xbox One Fortnite won't come with the 'Royale Bomber' skin, instead with a sleek new Eon one. At first glance, immediately thoughts of Overwatch's Genji comes to mind but it does go with the Xbox One mantra of sleek and clean. Before going into the details of the alleged bundle, we want to preface this by saying this is a very loose rumor with a very small thread of credibility from the team over at Team Achievements. Still, Fortnite players loved the PlayStation 4 setup, so if an Xbox One version is on the way - we want to share it. The bundle will also reportedly include 2000 V-Bucks and Save the World. According to the leaked description, "V-Bucks are an in-game currency that can be spent in both the Battle Royale PvP mode and the Save the World PvE campaign. In Battle Royale you can purchase new customization items for your Hero, glider, or pickaxe. In Save the World you can purchase Llama Pinata card packs that contain weapon, trap and gadget schematics as well as new Heroes and more! Note: Items do not transfer between the Battle Royale mode and the Save the World campaign." At this time, this is simply a rumor with no clarification as to what model the system will be, the price tag, whether or not it is solely for Xbox One, or even if it's legitimate. For now, at least until Epic Games offers official confirmation, this is still marked squarely in the rumor category. What do you think about the latest potential bundle? 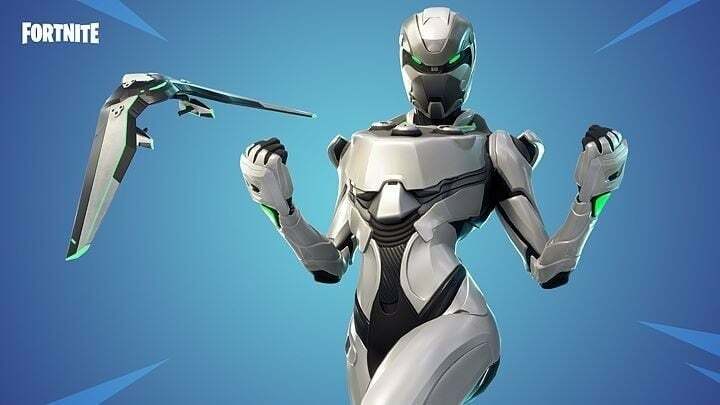 Do you like the Eon skin better, or the Royale Bomber for PS4? Sound off with your thoughts in the comment section below!